Part tour, part show, and a total mega dose of entertainment, The Ride is an exciting sightseeing adventure to check out on your next visit to the Big Apple. 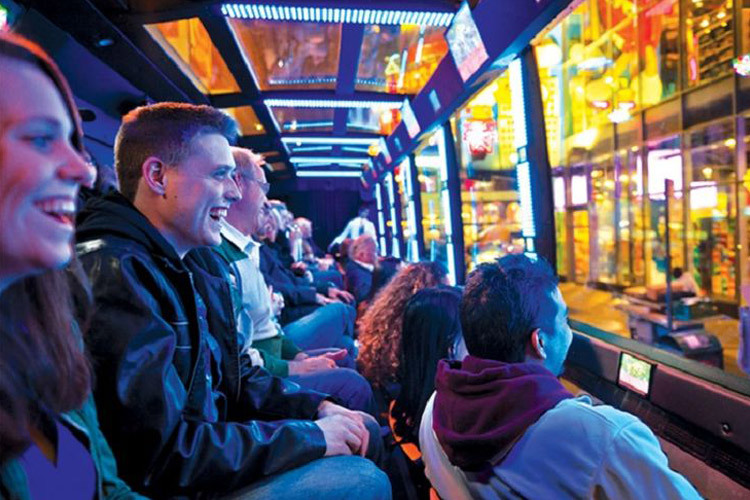 Experience the best of New York City on one of the city’s hottest entertainment attractions. The Ride is going to bring unique thrills to your next NYC trip — an interactive entertainment experience where the streets of the city are the stage. The Ride is a 75-minute traveling theatre/sightseeing bus tour that uses New York City and its iconic landmarks as the backdrop for a thrilling event that blurs the boundary between tour and performance. 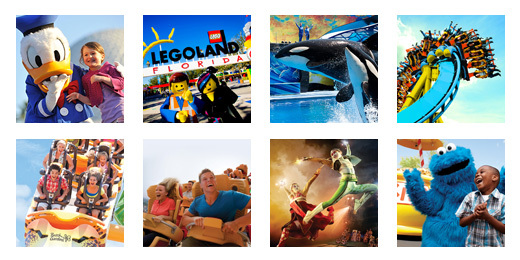 Right now, TicketsatWork.com has a Limited Time Offer for The Ride: Save 40% on tickets! The Ride’s custom, multi-million dollar motor coaches come equipped with state-of-the-art audio/visual technology, including 40 plasma TV screens and over 3000 LED lights. Enjoy hilarious hosts trained in improvisation so that each performance is fresh depending on what’s happening on the street that day. There will be pop-up presentations along the 4.2-mile route through Midtown and Times Square by The Ride’s talented ensemble of actors, singers, dancers, and instrumentalists. The Ride is one of the best ways to tour New York City on a budget, and whether you’re new to the city, or a long-time native. Visit New York City landmarks and attractions in style with The Ride.